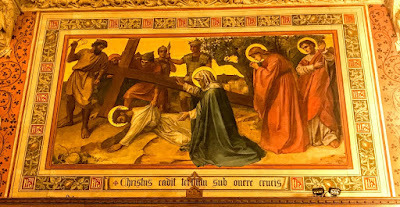 Today is Monday in Holy Week [15 April 2019]. Later this evening, I am presiding and preaching at Evening Prayer in Saint Mary’s Church, Askeaton, Co Limerick (8 p.m.). This week, Holy Week, the USPG Prayer Diary is focussing on the work of the Delhi Brotherhood Society (DBS) and its Women’s Helpline, which provides pastoral support and counselling to help families to resolve issues of gender violence or marital discord. This theme was introduced yesterday with a short article telling Meera’s story. Pray for those in abusive marriages, who live in fear of violence and manipulation, that they may find strength in friendships and a renewed sense of their own worth.